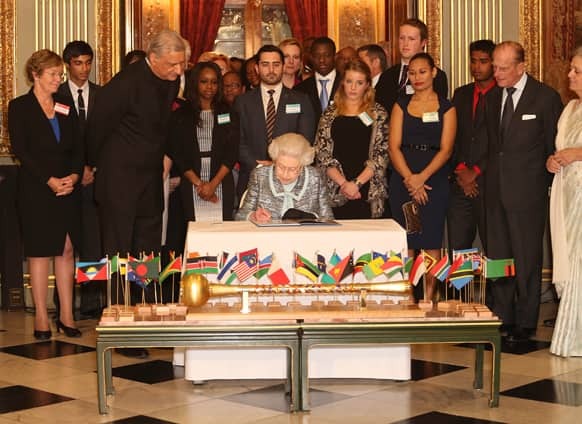 Britain`s Queen Elizabeth II, Head of the Commonwealth signs the Commonwealth Charter at a reception at Marlborough House, London. 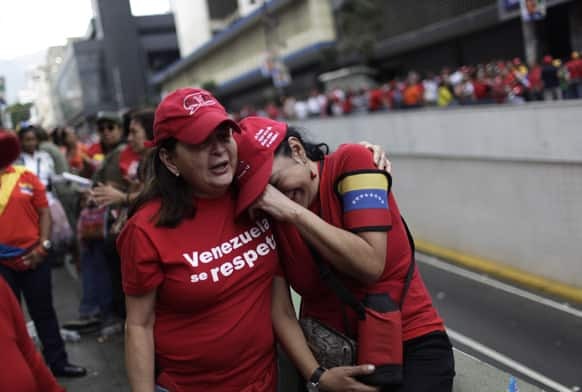 Supporters of late President Hugo Chavez embrace as they listen to a recording of Chavez singing the national anthem at the end of a political rally in support of acting President Nicolas Maduro running for president in upcoming elections in Caracas, Venezuela. 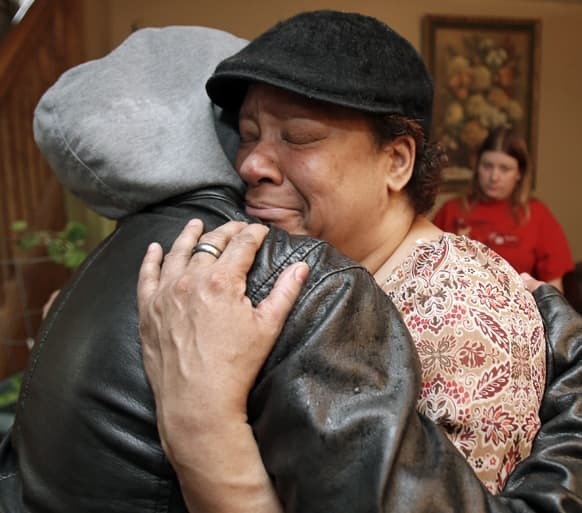 Lisa Williamson, mother of Brandon A. Murray, hugs her son`s friend, in Warren, Ohio. 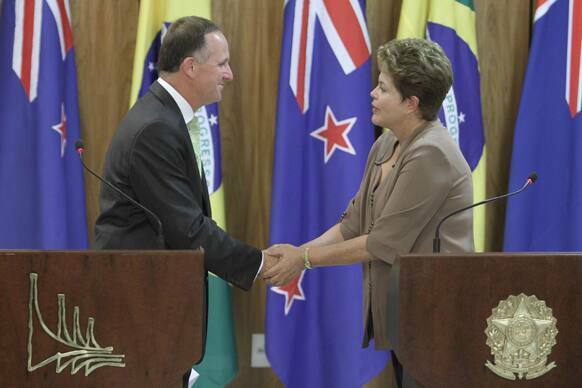 New Zealand`s Prime Minister John Key, left, shakes hands with Brazil`s President Dilma Rousseff during a joint press conference at the Planalto presidential palace in Brasilia, Brazil. 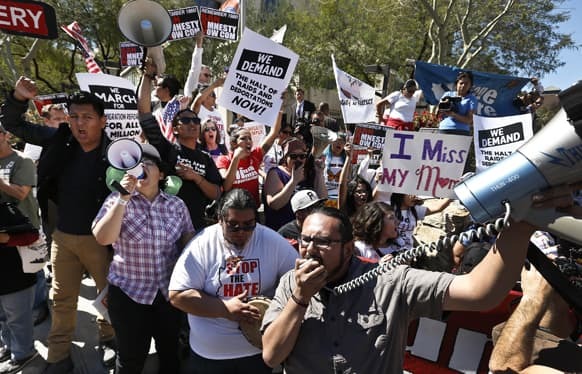 Dozens of immigration rights supporters chant during a Puente Movement event March Against Deportation, Family Separation, and Workplace Raids in front of Montgomery County Attorney Bill Montgomery`s office in Phoenix. 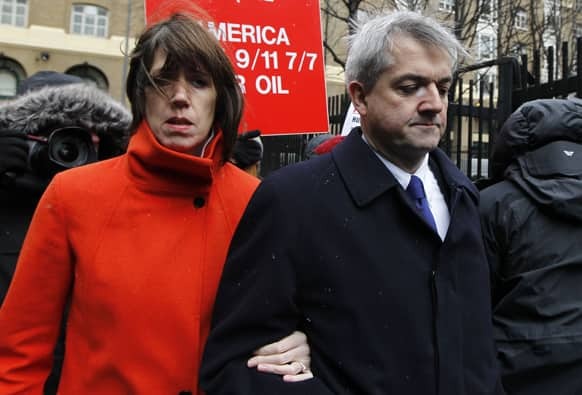 Britain`s Former Energy Secretary Chris Huhne, right, and his partner Carina Trimingham arrive for his sentencing hearing on perverting the course of justice, at Southwark Crown Court in London. Kirsten Flipkens, of Belgium, returns a shot to Victoria Azarenka, of Belarus, during their match at the BNP Paribas Open tennis tournament. 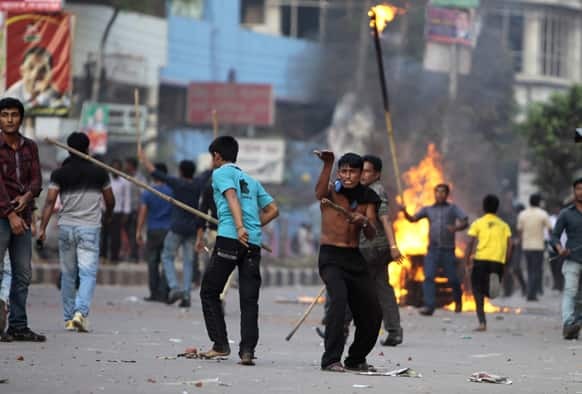 Bangladesh’s opposition activists burn a street vendor`s cart as they clash with police during their protest in Dhaka. 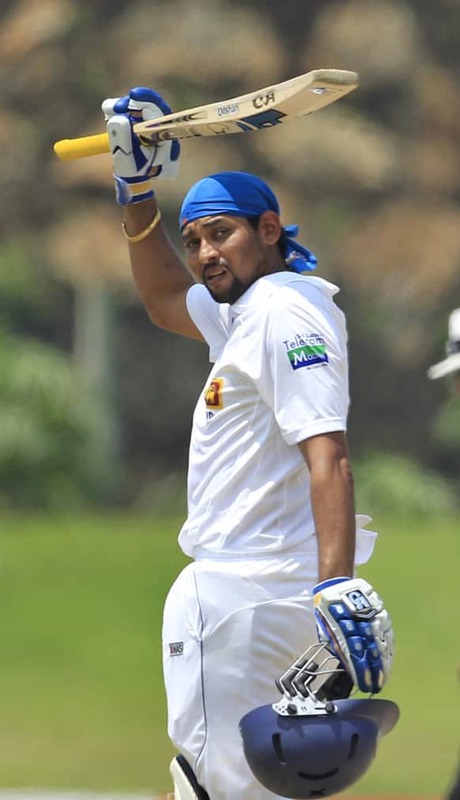 Sri Lanka`s Tillakaratne Dilshan acknowledges the crowd after scoring a century during the fifth day of their first test cricket match against Bangladesh in Galle, Sri Lanka. 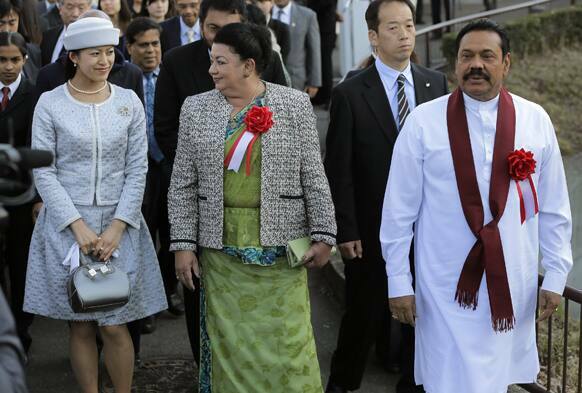 Sri Lankan President Mahinda Rajapaksa, right, walks with his wife Shiranthi Rajapaksa, center, and Japanese Princess Tsuguko while visiting the Tama Zoological Park in Tama, on the outskirts of Tokyo. 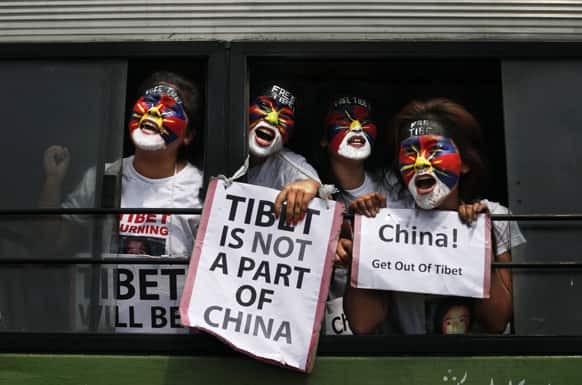 Exiled Tibetan women with their faces painted in the colors of a Tibetan flag shout slogans from inside a bus after they were detained during a protest to mark the anniversary of a failed 1959 uprising against Chinese rule outside the Chinese Embassy in New Delhi. 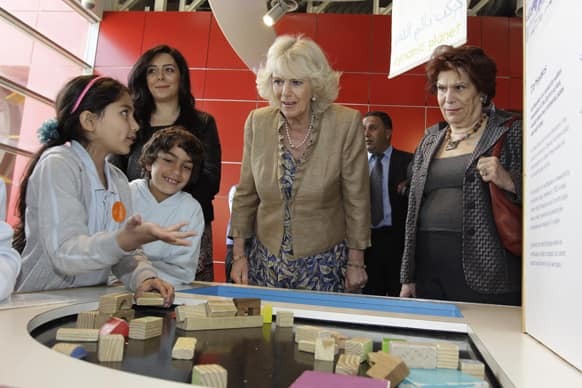 Britain`s Camilla Parker-Bowles, the Duchess of Cornwall, second right, and Jordanian Princess Wijdan Al Hashemi, right, visit the Children Museum at Al-Hussein Park in Amman, Jordan. 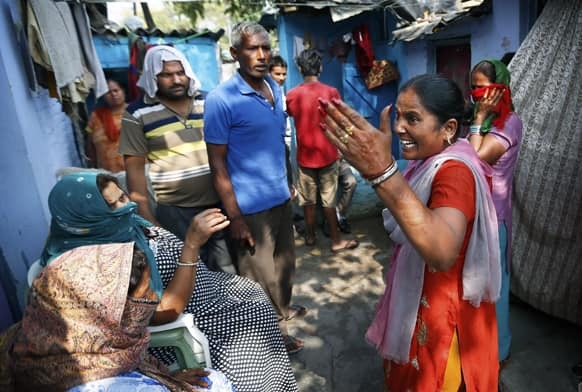 Christina Milian and daughter Violet smile for the camera while posing with Voots Veggie-Fruit tarts, a children`s supplement at the Voots `Get Kids Growing` Garden Workshop, at the Americana at Brand in Glendale, California. 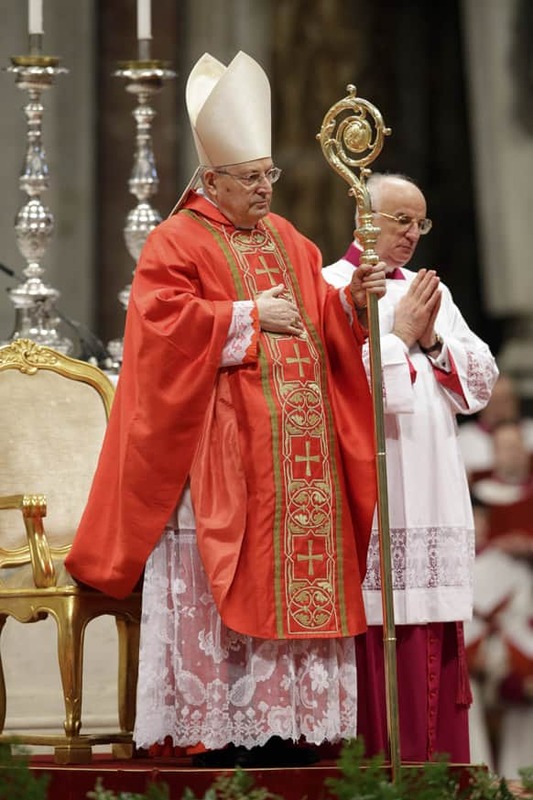 Cardinal Angelo Sodano celebrates a Mass for the election of a new pope inside St. Peter`s Basilica, at the Vatican. 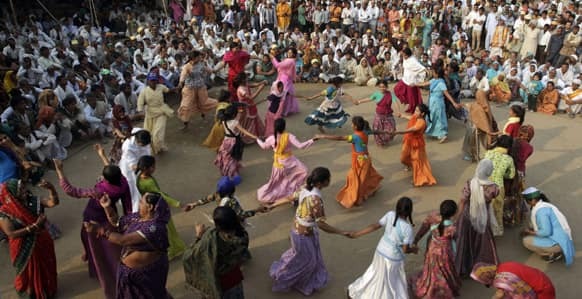 Children dance during their `Save Yamuna` river campaign march from Mathura in New Delhi.